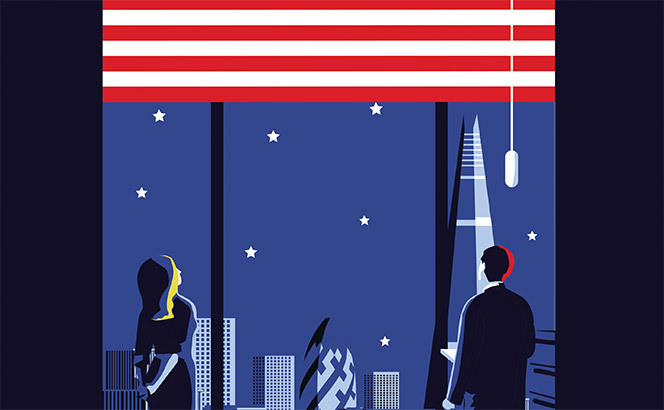 Morrison & Foerster (MoFo) has added its name to the growing list of US firms with London offices outperforming the entire business in 2018 as City revenue grew by 25% against global dip in turnover by 2% to $1.04bn. The firm announced today (26 March) its London revenue hit £30.93m in 2018, growing by more than 20% for the second year in a row after the 29% rise to £24.72m in 2017 . The 25% rise in its London turnover came amid a muted global performance at the West Coast-based firm, with turnover dropping 2% from $1.06bn. Revenue per lawyer was down 1% to $1.097m from $1.107m. The firm altered its partnership structure last year, cutting 25% of equity partners to 167 from 224, while salary partner ranks rose 50% to 129 from 86. Thanks to these changes profit per equity partner rose 14% to $1.98m from $1.73m. The London branch was in full expansive mode last year, growing its lawyer headcount by 26% to 73. The biggest coup on the lateral front came at the beginning of 2019 when the firm announced the hire of Latham & Watkins’ banking co-chair Christopher Kandel . Kandel was the third partner to join MoFo’s London finance practice in less than a year, following the arrivals of Benoit Lavigne from Ropes & Gray and Caroline Jury from Clifford Chance in 2018. London highlights included representing SoftBank in its $6bn investment into WeWork and Global Logistic Properties on the formation of two European funds for $4bn. ‘We have benefited from tremendous support from the firm-wide network for some of the leading deals and investigations matters we did last year,’ added Friedman. Looking ahead, the priorities for 2019 include growing the office’s nine-lawyer finance team and its private equity real estate practice, launched at the beginning of the year with the hire of Oliver s’Jacob and Luke Mines from Reed Smith. The City branches of a number of other US firms have outpaced firm-wide revenue growth for 2018, including the world’s two top billing law firms, Kirkland & Ellis and Latham . Further evidence of significant lateral movement between US players in London emerged today (7 February), with news that one the City’s most respected finance veterans, Chris Kandel, has quit Latham & Watkins after nine years to join Morrison & Foerster’s resurgent City arm. Kandel, a standout performer with a proven track record in leveraged finance, acquisition finance and restructuring, joined Latham in 2010 from White & Case, where he was co-head of the London bank finance practice. He was global co-chair of Latham’s finance offering. He is the third partner to join MoFo’s London finance practice in less than a year, following the arrivals of Benoit Lavigne from Ropes & Gray and Caroline Jury from Clifford Chance. ‘Chris is a market-leader with more than 20 years of experience in the London finance market,’ said Larren Nashelsky, chair of Morrison & Foerster. ‘He has extensive experience leading leveraged finance and restructuring matters under both English and US law, setting him apart in the market and further building our ability to support our clients with their most complex cross-border financial transactions. Conversations between the firm and Kandel took a number of months, said Friedman. Kandel will become the third partner in MoFo’s ten-lawyer City finance practice, but Friedman said the firm planned to grow the team significantly over the next few months. Its London office currently counts 70 lawyers. Kandel was part of a four-partner team moving to Latham from White & Case in 2010 in a move which planted the seeds for the Los Angeles-bred firm’s dominance in Europe’s leveraged finance market. The team also included Latham’s current London managing partner Jayanthi Sadanandan and City finance chair Sam Hamilton. Mandates Kandel has acted on include the €6.8bn financing for China National Chemical Corporation’s acquisition of shares in Pirelli from Camfin and the $3.29bn bond offering by SoftBank. His departure is a rare reversal in Latham’s long-going City hiring spree. Those recently joining the firm, which last year became the first to ever report revenues over $3bn, include infrastructure private equity experts Brendan Moylan and Conrad Andersen from Clifford Chance and Allen & Overy respectively. The firm also beefed up its finance ranks over the summer, hiring restructuring star Yen Sum and her fellow finance partner Jennifer Brennan from Sidley Austin. While Kandel’s hire may be the most significant to date in the City for MoFo, it is not the first time it has hit fellow West Coast player Latham in the UK in recent years. In 2015 it recruited private equity partner Graeme Sloan to head its London corporate team and serve as global co-chair of its M&A practice, followed by Sloan’s Latham colleague Vladimir Maly a few months later. 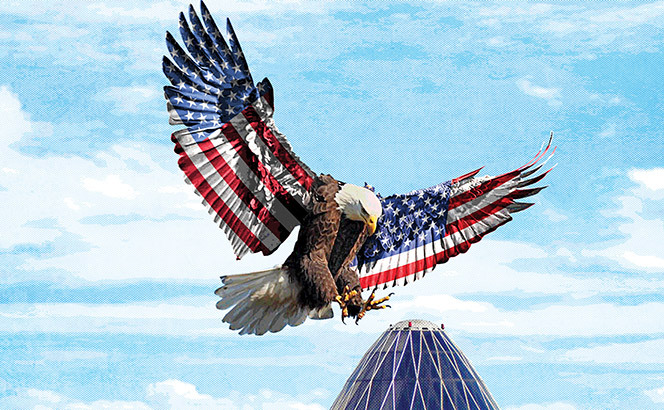 US player Morrison & Foerster emerged as the only firm to make a significant lateral hire in the City last week, while Fieldfisher bolstered its new Luxembourg office and Reed Smith made a triple hire in the Middle East at the expense of Pinsent Masons. MoFo strengthened its London finance practice with the hire of Benoit Lavigne from Ropes & Gray where he was a partner, focusing primarily on leveraged finance, acquisition finance and special situations lending. The hire is MoFo’s third London office hire of 2018, as the firm strengthened with additions from Clifford Chance and Jones Day earlier this year. Elsewhere in the UK, regional firm Coffin Mew boosted its practice in Thames Valley with the hires of Tim Watkins from Hadef & Partners and Derek Walsh from Thrings. Watkins joins Coffin Mew’s international corporate transactions practice, bringing with him experience in cross border acquisitions and high-profile commercial projects, including the establishment of Abu Dhabi’s national airline, Etihad Airways. Walsh, meanwhile, will now head up the firm’s agricultural and rural business practice, having previously spent 12 years as an agricultural specialist at Things where he focused on representing farmers and rural businesses on contract disputes. In Europe, Fieldfisher set about enhancing its Luxembourg offering with two fresh hires to the newly-launched office. Jean-Luc Dascotte has been appointed as a tax partner, joining from Brussels-based tax firm Tiberghien where he acted as managing partner in Luxembourg. Accompanying Dascotte will be corporate partner Richard Ledain Santiago who joins from Allen & Overy, where he acted for a range of local and international clients in areas of M&A, joint ventures and structured finance. Both hires have been long-expected at Fieldfisher, with local managing partner Ingrid Dubourdieu previously being the only partner at the new office. Meanwhile across the border in France, DWF set about establishing a new IP practice with the hire of litigation partner Simon Christiaën from Lazareff Le Bars where he led the IP litigation and dispute resolution department. Christiaën boasts 25 years of experience in the IP field, with a particular focus on judicial action and arbitration, previously advising on infringement and IP issues for industrial manufacturers and distributors. At DWF, Christiaën will work closely with litigation partner Florence Karila and corporate partner Anne-Sylvie Vassenaix-Paxton. Meanwhile, Reed Smith completed the international recruitment round, making a triple hire in the Middle East, including two new recruits from Pinsent Masons. Sachin Kerur, Michelle Nelson and Shourav Lahiri all join, as Reed Smith sets about improving its international arbitration and construction and projects sectors in the region. Kerur had previously been Pinsent Masons’ head of the Middle East region, and will now assume the role of office managing partner for Reed Smith in Dubai and Abu Dhabi, bringing with him experience advising regional governments and the private sector on a series of infrastructure projects across the Middle East and India. Nelson also joins Reed Smith from Pinsent Masons, where she specialised in international arbitration and high-value infrastructure projects, while Lahiri joins from his own firm in Asia, having also spent time at Pinsent Masons as partner. Wachtell, Lipton, Rosen & Katz and Morrison & Foerster have taken the lead on T-Mobile’s takeover of fellow US telecoms operator Sprint, billed as an attempt to make the US a hotbed for innovation. The proposed $146bn combination sees Washington-headquartered T-Mobile enter into an all-stock deal to merge with Sprint. The transaction gives the Kansas-based target an enterprise value of $59bn and paves the way for the companies’ dual ambition to build the world’s best 5G network. The combined company will be named T-Mobile and is expected to have the network capacity to rapidly create a nationwide 5G network while having lower costs and greater economies of scale. Wachtell’s team, led by New York corporate partner Adam Emmerich, is advising T-Mobile and its German parent company Deutsche Telekom. MoFo, meanwhile, is acting for Sprint and its controlling shareholder SoftBank Group with a team led by global M&A practice group co-chair Robert Townsend (San Francisco), corporate partners Brandon Parris (San Francisco) and David Slotkin (Washington DC), antitrust partners David Meyer (Washington DC) and Jeff Jaeckel (Washington DC), regulatory partner Nick Spiliotes (Washington DC), tax partner Bernie Pistillo (San Francisco) and Tokyo office managing partner Ken Siegel. The team also includes corporate partners Mike O’Bryan (San Francisco) and Scott Lesmes (Washington DC), finance partner Mark Wojciechowski (New York), corporate partner Ivan Smallwood (Tokyo), antitrust partner Mike Miller (New York), technology transactions partner Paul Jahn (San Francisco) and compensation benefits partner Domnick Bozzetti (New York). Cleary Gottlieb and DLA Piper are acting as regulatory counsel to T-Mobile and Deutsche Telekom. Cleary’s team was led by Washington DC partners Mark Nelson, George Cary, and Jeremy Calsyn, as well as Dan Culley in Brussels. Weil is advising Evercore, the financial adviser to T-Mobile’s committee of independent directors, with a team led by New York corporate partner Michael Aiello and including M&A partner Eoghan Keenan. Latham & Watkins is advising the committee of independent directors, with a corporate team including partners Charles Ruck in New York and Orange County and Daniel Rees in Orange County. Advising on finance matters are partners Keith Halverstam and Benjamin Cohen in New York and Greg Robins in Los Angeles, while James Barker and Matthew Brill in Washington DC are acting on communications matters. Steven Croley in Washington DC advised on the Committee on Foreign in the United States (CFIUS) matters, Michael Egge on antitrust and Michele Johnson on compliance. Richards, Layton & Finger served as Delaware counsel to the committee of independent directors of T-Mobile. Goodwin Procter is legal counsel to the independent transaction committee of the board of directors of Sprint while Skadden, Arps, Slate, Meagher & Flom is regulatory co-counsel and Potter Anderson Corroon is Delaware counsel. Morgan Stanley is financial adviser to Deutsche Telekom, while Barclays, Credit Suisse, Deutsche Bank, Goldman Sachs, Morgan Stanley, and RBC are providing T-Mobile with committed debt financing to support the transaction. PJT Partners is advising T-Mobile on the debt financing associated with the transaction. After the deal closes – likely between Q4 2018 and Q2 2019 – the new company will be headquartered in Bellevue, Washington with a second headquarters in Overland Park, Kansas. 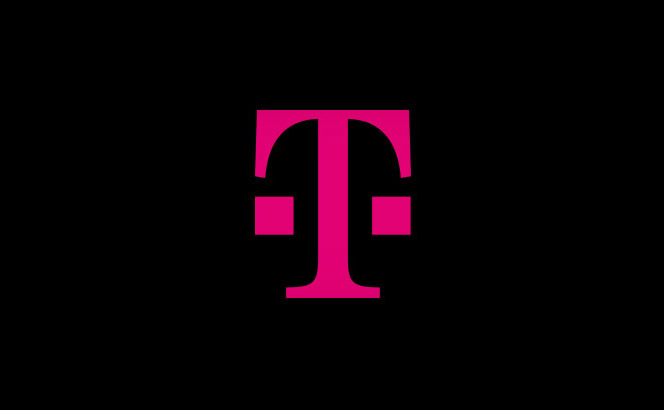 ‘This combination will create a fierce competitor with the network scale to deliver more for consumers and businesses in the form of lower prices, more innovation, and a second-to-none network experience – and do it all so much faster than either company could on its own’, said John Legere, president and chief executive officer of T-Mobile US, who will also head the new company. Continuing the strong showing from US firms in London recently, Sidley Austin and Morrison & Foerster (MoFo)’s City offices recorded a convincing performance in 2017, each posting double-digit percentage growth in their top line. Expansive global giant Sidley posted a 14% City revenue hike to £85.7m in a year marked by five headline lateral hires for the firm’s M&A, restructuring and capital markets teams. London managing partner Matthew Dening told Legal Business of his satisfaction at seeing the firm’s investment paying off. Sidley grew London headcount 5% to 141, bringing in partners including restructuring rising star Yen Sum from Linklaters ], M&A partner James Wood from Ashurst and private equity specialists Wim De Vlieger and Till Lefranc from Simpson Thacher & Bartlett. ‘All groups were very busy,’ said Dening. ‘There was broad demand for our services.’ Along with private equity and restructuring, he described the firm’s regulatory team as ‘incredibly busy’ throughout the year. Sidley acted on Apollo Global Management’s acquisition of a majority stake in insurance specialist Catalina, the restructuring of fashion retailer New Look and the liquidation of offshore driller Ocean Rig. The firm also won a spot on private equity house TPG’s first European panel. 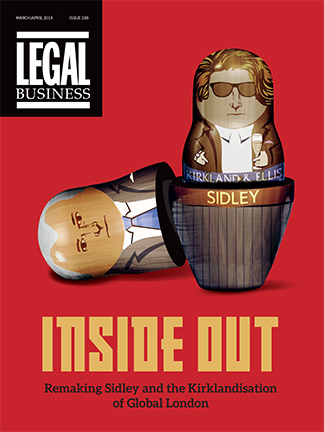 The London office performance came as Sidley also grew both its global top line and PEP 6%, to $2.04bn and $2.26m respectively. Meanwhile, MoFo’s UK revenue grew 29% to £24.72m in what Europe managing partner Paul Friedman described as a ‘transformational year’ for the London office. ‘We have increased our connectivity with our global and UK-based clients, and with our colleagues throughout the MoFo network,’ said Friedman, pointing to the particularly ‘robust’ performance of the corporate, disputes and investigations teams. Deals the firm acted on included advising SoftBank Group in its SoftBank Vision Fund’s $4.4bn investment into WeWork Companies. MoFo also acted for Toshiba and Innovation Network Corporation of Japan on their $2.4bn sale of Landis+GYR Group AG. Globally the firm posted a 12% revenue hike to $1.06bn as its headcount remained virtually unchanged at 960 compared to last year’s 956. PEP surged 23% to a record $1.75m with the firm reducing its equity headcount 4% to 224 partners. Morrison & Foerster and Sullivan & Cromwell have both advised on major Swiss electricity smart meter producer Landis+Gyr’s $2.4bn (£1.84bn) initial public offering (IPO), Europe’s second largest this year. The IPO represents Landis+Gyr’s break from Japanese conglomerate Toshiba after it purchased the company six years ago. The IPO is the largest on the Swiss Exchange in the past ten years. Landis+Gyr employs more than 5,700 staff with activity across 30 countries. Toshiba, which controls 60% of Landis+Gyr, has been plagued by a series of recent setbacks which this year culminated in the Japanese company releasing unaudited third-quarter accounts for the three months to December 31. Innovation Network Corporation of Japan (INCJ) also sold its 40% stake in the company. The transaction closed on July 25 when Toshiba and INCJ sold all of their Landis+Gyr shares in the offerings. Morrison & Foerster advised Toshiba and INCJ with a team led by London-based partners Scott Ashton in capital markets and Andrew Boyd in corporate. Tokyo-based corporate partner Stanley Yukevich also headed up the firm’s team. Niederer Kraft & Frey acted as Swiss counsel on the transaction with a team led by capital markets partner Philippe Weber. Sullivan & Cromwell and Swiss law firm Bär & Karrer advised the underwriters which included UBS and Morgan Stanley acted as joint global coordinators, Credit Suisse and JP Morgan as further joint bookrunners. Mizuho International and Bank Vontobel acted as co-bookrunners. SullCrom brought on a team led by Frankfurt-based partner Krystian Czerniecki. Bär & Karrer’s team included capital markets partner Thomas Reutter and tax partner Susanne Schreiber. 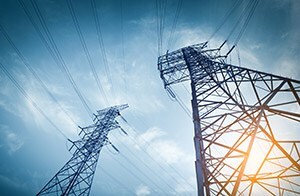 M&A activity in the smart meter maker market has increased recently, with producers becoming more important with the digitalisation of the energy industry. Morrison & Foerster and Akin, Gump, Strauss Hauer & Feld have both promoted one woman each to their London offices in their 2017 rounds. Commercial litigation lawyer Gemma Anderson became a partner in MoFo’s London office on January 1. Specialising in complex contractual and financial matters, technology disputes, and contentious insolvency and restructuring issues, Anderson is dual qualified in England & Wales and New Zealand. The single promotion in London is the same as last year when the firm promoted capital markets lawyer Scott Ashton in a global round of 12. Alongside Anderson, the firm promoted one other in Europe as part of its 15 strong promotion round. Technology lawyer Christiane Stuetzle, the firm’s co-chair of global film and entertainment, has become a partner in the firm’s Berlin office. Two partners have been made up in MoFo’s offices in Washington DC, San Francisco, Hong Kong and Tokyo. New York, Palo Alto, San Diego, Northern Virginia and Denver will each receive one new partner. Sophie Donnithorne-Tait has been promoted to partner in Akin Gump’s London office. She became partner on January 1 and is the only lawyer to be promoted across Akin Gump’s European offering. Last year the firm made up three partners in the City. New York saw the majority of Akin Gump’s promotions with six taking up the role of partner. Washington DC will gain Annisah Iman Um’rani as a partner while Mahmoud Baki Fadlallah will be based both in the firm’s Dubai and Washington DC offices. Daniel Moffett has become a partner in Akin Gump’s San Antonio office. Other firms recently making their global promotions round include Hogan Lovells, Jones Day and Cadwalader, Wickersham & Taft. As part of a round of 29, Hogan Lovells appointed three in the City while Jones Day made up five London partners as part of a 47-strong global round and Cadwalader made up 10, including two in the City. Following the news yesterday (20 August) that Proskauer Rose had hired from Dentons‘ private equity practice, the firm has lost two partners , one to Gibson, Dunn & Crutcher in private equity, and another in private investment funds to Morrison & Foerster (MoFo). Oliver Rochman will join MoFo’s corporate practice as part of the firm’s push into European corporate capabilities and the expansion of its global private investment funds practice following the arrival of four corporate partners from Latham & Watkins. Rochman joined Proskauer from SJ Berwin in 2011 with fellow funds partner Nigel van Zyl and six associates, in which was a large hire at the time. His practice focuses on advising international funds such as buy-out funds, infrastructure funds and funds of funds. ‘We have significantly invested in our UK Corporate practice over the last year, building a highly impressive group and deep bench of top tier partners and associates. Oliver is another important addition to the team,’ said Paul Friedman, Morrison & Foerster’s managing partner for Europe. Meanwhile, James Howe will join Gibson Dunn’s London office, continuing his private equity and mergers and acquisitions practice at the firm. Ken Doran, chairman and managing partner of Gibson Dunn said that continuing to build the firm’s transactional capability in London was critical to establishing the bench strength and visibility needed to achieve long term success in the UK and global markets. Yesterday, Proskauer took private equity partner Eleanor Shanks from Dentons following a rapid scaling up of its private equity practice since the hire of City heavyweight Steven Davis from King & Wood Mallesons in 2014. This year, the firm has already added leveraged finance partner Ben Davis from Reed Smith and private equity real estate duo Jo Owen and Vikki McKay from DLA Piper in London. ‘Eleanor’s strong track record advising private equity players further strengthens our position in the industry as we continue to expand our presence in Europe,’ said Davis. This week in Asia, Morrison & Foerster (MoFo) added a trio of partners from three Magic Circle firms, as Nabarro has also strengthened its transactional practice in Singapore with the hire of former Gadens managing partner Marc Rathbone. Meanwhile, Berwin Leighton Paisner (BLP) will move its premises in Hong Kong out of the Central District to Taikoo Place to allow for further growth. In Hong Kong, Chuan Sun and Vivian Yiu have joined MoFo from Freshfields Bruckhaus Deringer and Allen & Overy respectively, while in Singapore, Yemi Tépé has joined the firm from Clifford Chance. MoFo managing partner Eric Piesner said the hires illustrate the firm’s continued investment in Asia following the recent arrivals of partners Jason Nelms in Hong Kong and Joshua Isenberg in Tokyo. Sun joins MoFo’s technology transactions group, while Yiu brings significant experience in Hong Kong capital markets and Chinese-focused M&A matters to the firm’s corporate department. Tépé, who advised leading banks and financial institutions, major corporates and private equity sponsors, joins the firm’s financial transactions group. In addition, Nabarro has also hired in Asia, strengthening its transactional practice in Singapore with the addition of Rathbone who specialises in infrastructure, construction and energy projects. 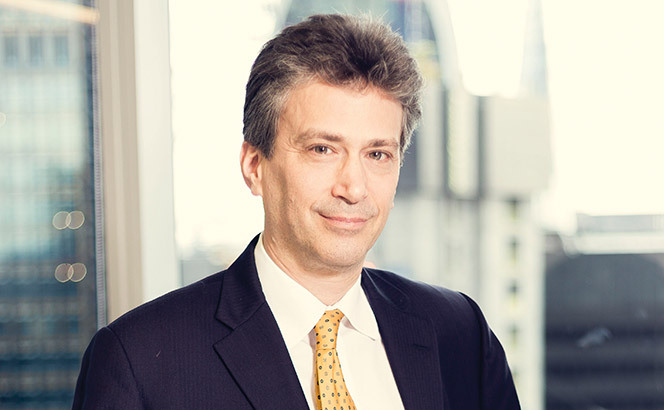 Rathbone joins the firm from Gadens, where he founded the firm’s Singapore office in 2013 and was previously its managing partner. Finally, BLP will relocate its premises in Hong Kong after signing a six year lease for 15,000 sq ft in Taikoo Place. The firm currently leases 9,500 sq ft in Central District, housing 40 staff, and said the new office can accommodate approximately 100 people and will enable further growth of the firm’s team.